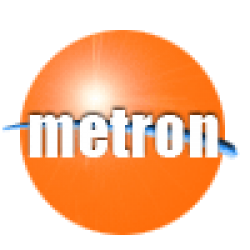 Metron Products (Aust) Pty Ltd is an all Australian owned and operated online wholesale company; that specialises in sourcing the best available commercial Lockout Stations, Lockout Kits and Safety Boxes products on the market. We have a range of LOTO equipment that has been specially designed to be suitable in a wide variety of workplaces. Tagout, on the other hand, refers to the tags that are used for marking the tags. The tags are often used to warn people that the tagged piece of equipment or machine cannot be operated without authorisation. We supply customers all around Australia (Sydney, Melbourne, Brisbane, Perth, Adelaide, Gold Coast, Canberra, Hobart, Geelong, Darwin, Wollongong and other cities), as well as supplying wholesale re-sellers and large volume clients. Shop Safety Lockout Products. At Metron Products, we pride ourselves on offering customers the very best Loto Kit & Loto Equipments deals comply with Loto Health & Safety Laws and Standards. All of our devices are made with precision and an emphasis on quality. Go ahead and see our kits. 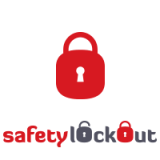 Get one lockout kit or station and keep your workplace safe. Valve Cover RED to fit hand wheel 25mm to 65mm (1" -2.5") * Gate valve covers are a simple, low cos.. Valve Cover RED to fit hand wheel 65mm to 130mm (2.5" to 5") * Gate valve covers are a simple, low .. Valve Cover RED to fit hand wheel 165mm to 260mm (6.5" to 10") * Gate valve covers are a simple, lo.. Valve Cover RED to fit hand wheel 260mm to 330mm (10" to 13") * Gate valve covers are a simple, low..
No Tool Universal MCB Lockout Device (Small to Medium) * “No Tool” Circuit Breaker Lockout instal..
No Tool Universal MCB Lockout Device (Medium to Large) * “No Tool” Circuit Breaker Lockout instal..
* “No Tool” Circuit Breaker Lockout install quickly and easily without any tools. * Widely used, su..
* Safety Padlock, Long STEEL Shackle-76 mm – Supplied with 2 keys * Durable, lightweight with non-c..
Universal MCB Lockout Device (Small to Medium) * Wide application and applicable to all kinds of sm..
* Safety Padlock, Long STEEL Shackle-76 mm– Supplied with 2 keys * Durable, lightweight with non-co..
Universal MCB Lockout Device (Medium to Large) * Locks out 2 to 4 pole Circuit Breakers * Widely u..
* 4 Piece Kit (cover + 3 different inner bases) * Suitable for a variety of switch sizes * Inner b..
* Safety Padlock, Stainless Steel Wire Shackle-76 mm– Supplied with 2 keys * Durable, lightweight w..
* Suitable for a variety of switch sizes and types include PUSH,TURN & EMERGENCY * Body Dimensi..
* Safety Padlock, STEEL Shackle 38 mm – Supplied with 2 keys * Durable, lightweight with non-conduc..
Lockout body diameter 44mm, suitable for mini and middle size industrial socket..
Lockout body diameter 50mm, suitable for middle size industrial socket..
Lockout body diameter 63mm, suitable for middle and large size industrial socket..
Lockout body diameter 73mm, suitable for large size industrial socket..
CYLINDER TANK LOCKOUT * For valvestem sizes up to 32mm * Suits most propane Gas Cylinder, forklif..
* Prevents access to the main cylinder valve. * No need to match your lockout device to varying dia..
Lockout Tags * Water & Oil resistant PVC * Printed on both sides * Can be re-used * Dimensio..
Large Electrical/Pneumatic Plug Lockout Box * Double open and quadrilateral lockout design * Sui..